Never one to settle, Art Lebedev's design shop is trying its hand at handset design, and we like the looks of it. Art is teaming up with Scartel, a Russian carrier which just launched a WiMax network in Moscow and St. Petersburg, for a flagship handset of sorts, and has left no spec unturned -- at least in the wishful-thinking conceptual stage. 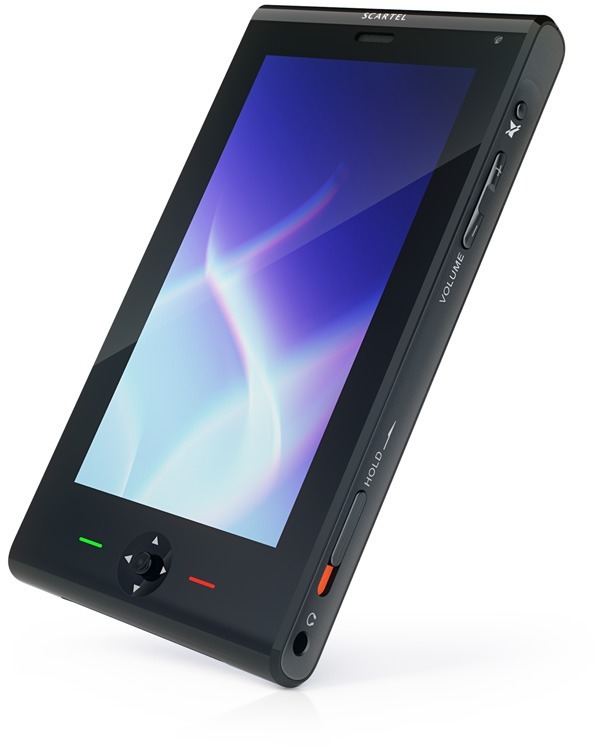 In addition to a WiMax radio, the device has WiFi, tri-band GSM, microSD, dual cameras, 3.5mm audio, an A/V plug and a gargantuan 850 x 480 screen. There are minimal buttons at the base: a five-way joystick and call / end, and no keypad, so we're going to assume that we're looking at a touchscreen device. Now all that's left is to pick an OS -- would Android be too much to ask? Another shot is after the fold.